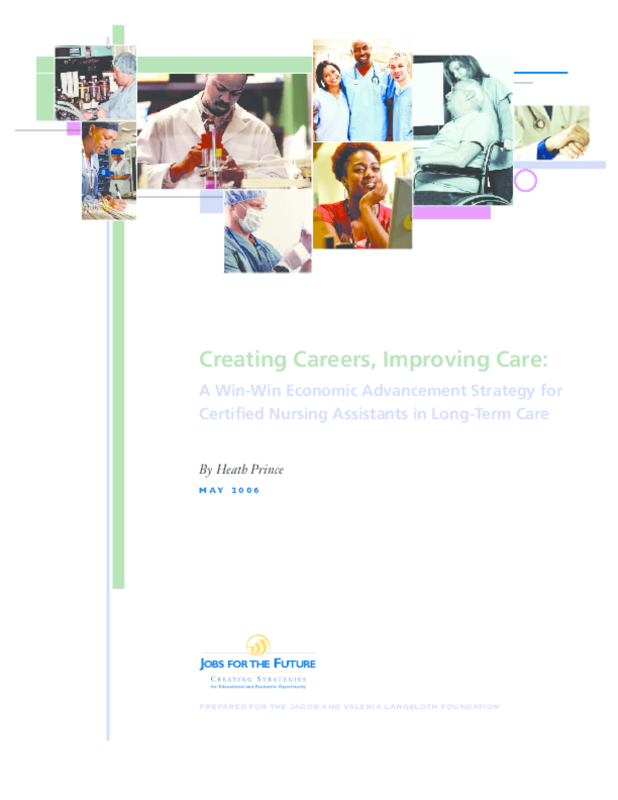 Examines strategies for developing training and education programs that will facilitate career advancement for nursing assistants. Explores the link between recruitment, retention, and advancement practices and the quality of care provided by caregivers. Copyright 2006 Jobs for the Future.